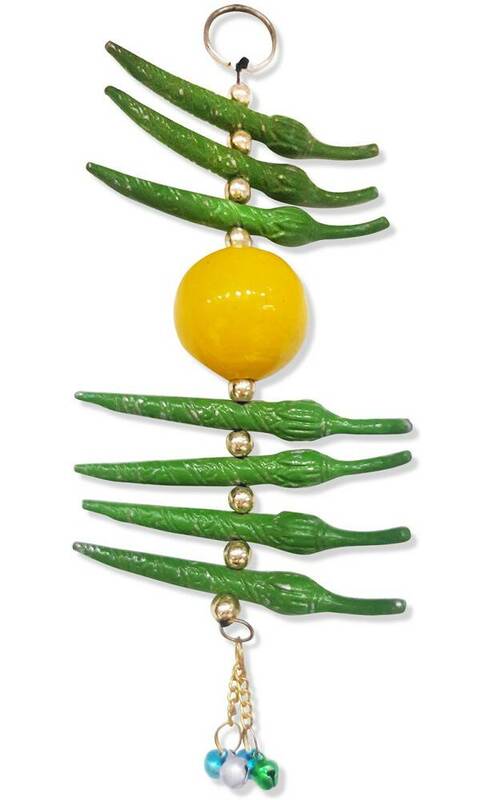 It is very common in India for people to hang 7 Chillies and 1 Lemon at the entrance of a home or place of business, as it's believed to bring prosperity and wellness. So now we have this for you in quality metal so you can decorate your entrance way with this modern version of a traditional item. Apx. 7" (inches) long.